Arguably the biggest challenge amateur cyclists face is finding time to train in the face of life’s responsibilities. We have long maintained that cyclocross is a perfect discipline for time-crunched riders since the races are quite short. Gravel, however, is quite the opposite. 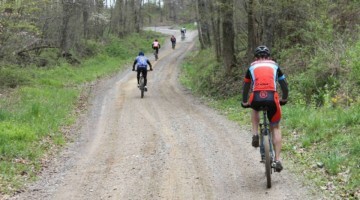 Gravel events are defined by long distances and challenging routes. Finding time to train for six-plus hour events is a tough task for the time-crunched. With that in mind, we reached out to some coaches for some advice on training with limited time—asking for a friend, of course. Our coaches for this installment are our resident coach extraordinaire Chris Mayhew (jbvcoaching.com / @seemayhew), long-time contributor Brandon Davis (wattagecottage.cc / @morefunplease) and newb Michael Seiler (stage22performance.com / @stage22performance). See our questions and what they had to say below. 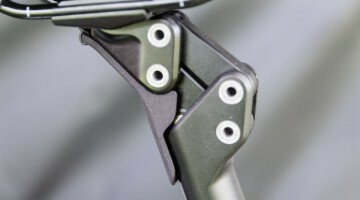 CXM: If you are targeting a long gravel event (let’s say 100k-plus), how long out should you start doing committed riding? Brandon Davis: This largely depends on your goal … are you in the “just finish” group or the “shred ’til your dead” group? If you are the latter then you should look at what you are currently doing first and go from there. For instance, if you’re currently capable of doing three-hour endurance rides with friends on the weekends after easier rides all week, then start doing some harder tempo intervals and ease up to threshold work 8 to 12 weeks out depending on how fast you adapt and your base fitness going in. If you are newer to the gravel scene, the best advice I can give is to treat it like an adventure and just ride as much as your schedule allows, keep it fun and do rides on easy mountain bike trails or gravel roads if you have them and aim to do 10 percent more volume each week until you get to your event. Keep it fun and interesting don’t take it so seriously. If it was easy, it wouldn’t be epic. Chris Mayhew: As soon as you can mail me a check. Seriously, it’s a continuum. To not die, I’d say six to eight weeks. To excel, I’d say three to six months. That’s definitely the bare minimum. If you’re a slow twitch athlete or have a lot of riding experience to fall back on, you might need less time. If this is your first event the more time the better. Michael Seiler: This depends a little bit on where the athlete’s fitness level is—i.e. where are we starting from—and what their goal is—finishing or crushing it. In general, I would recommend a minimum of 12 weeks out from your goal event. CXM: What is the minimum number of hours and/or days per week should an athlete shoot for? CM: That’s kind of the antithesis of my approach to coaching. If you have one hour a week, I’ll make the most of it and want to talk about realistic expectations. If you have 10 hours, that’s great, as is anything in between. It’s on me to make the most of what you have to give. I’m sure you’re giving whatever you have to give in this situation, I’m not about to ask you to give more instead of spend time at your job or with your family. MS: For the longer gravel events, 100k-plus, you need a minimum of 6-8 hours of training time to fully prepare for the demands of the event. BD: Depends on the goals and level of the rider. An easy week volume-wise for a pro may be 15 hours, whereas to mortals, that might be the biggest week of their lives! For the vast majority of folks reading this, if you can carve out three to four days a week to get on your bike and do varied intensities or even formats for an hour and a half plus and either up the intensity or volume (not both at once) a little bit each week, you can stay pretty fit and ready for whatever adventure pops up come the weekend. 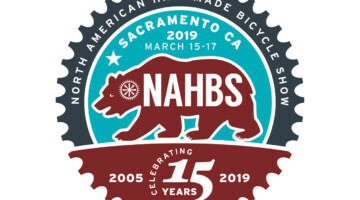 Personally, in one week I can go from cross-country to gravel to skate park/pump track to road and throw in some yoga and trail running that all that comes to 8 to 10 hours on average. Doing that keeps me fit enough to survive random adventures on two wheels in the Blue Ridge Mountains on any given weekend at age 36. In the end, it depends on the level of fitness you are seeking and how structured you tend to be as well as the demands placed on you for your event. You can’t be a strong Cat 1 racer on 8 hours, but you can rip it up in the singlespeed class and still enjoy beers after on that! CXM: Does the 80/20 rule for low/high-intensity apply for time-limited athletes? What mix of intensity and volume is good? MS: The 80/20 rule still works for the time-limited athletes but as a coach, I need to understand what’s limiting their time to properly design their training program. Often they have other stressors in their lives—family, work demands, travel—that need to be taken into account to balance training load and allow enough recovery. BD: This largely depends on daily life as well as available time. I personally don’t think the 80/20 rule applies unless you are training 15 hours or more a week, but that’s a very broad sweeping statement with various complications. 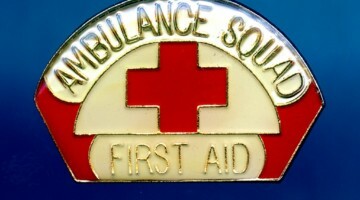 It also depends on how long you have been riding and training, your years of “base” built up. If you are a 50-year old Masters athlete racing power-hour style formats, then you are primarily trying to hold on to your top end as long as possible because your VO2Max has been fading since your early 30s. In season, I think the 80/20 rule is fairly effective during a heavy block of racing but still is largely determined by the individual athlete. CM: For these events, for sure. You don’t need much one-minute power during these events. You do need a lot of long and steady power. I’d want your training to reflect that. Increases in intensity would primarily be to create adaptations. So, if we had time I’d want to spend a few weeks doing VO2 work once a week but primarily to increase your overall fitness. 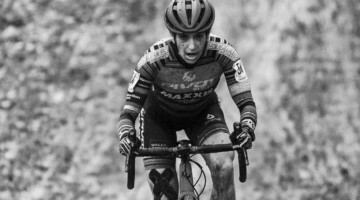 CXM: What role do intervals and intensity have in your training for gravel events? How should that increase for weekend warriors with limited weekday training time? 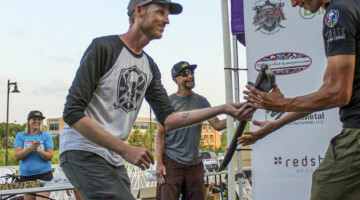 BD: Coming from the endurance mountain bike community (NUE, Leadville, 24hr, etc.) I approach it very similarly to those events. Interval work is largely in the sub-threshold range and should integrate low-cadence work. 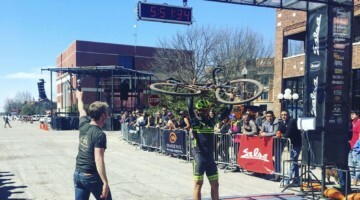 This is why gravel is so popular with the cyclocross community—athletes are largely doing big rides at varied cadences this time of year anyway, so it fits well into their programs. Most people who dive head first into gravel without riding much gravel are instantly caught off guard by rolling at 60-70 rpms for the bulk of most courses just to stay stable and in control. I like to do a build, working from say 10-minute intervals up to 20-minute intervals at (insert tag here>> sub-threshold/sweet spot/tempo) over the course of a couple of 4-week training blocks. CM: Think of training as a dose/response curve (mediated by recovery). Your training dose is duration x intensity. If you’re limited on time, duration is constrainted and ultimately, so is the dose. But hopefully the dose is such that you can do back to back days of training, which has its own benefit. The typical mid-week schedule for any working athlete is going to include intervals. So hopefully you can do three days of training during the week, then another day or two on the weekend to ride longer with less intensely. 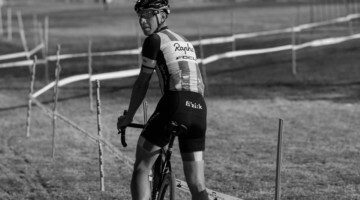 MS: For gravel events, I have my athletes focus less on the super high intensities that you would typically need to prepare for road or criterium events. I will typically have them focus on efforts right around their FTP. This will include sub-threshold and just over threshold. There will still be some higher intensity work but it represents a smaller part of the overall volume. CXM: Long weekend rides are usually a staple of training programs. Why are those important? If you can fit them in, how long should they be? CM: Long rides mimic the demands of your event. They are also another way to come at the intensity x duration dose. You can only increase intensity so much! 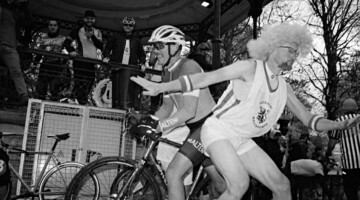 Ideally, you’d do a ride that’s about as long as your event, or at least 50-80 percent of it. Obviously, you work up to that, but it would be really nice to have a few training rides that are near or at what you’re planning on for your event. Logistics is a big part of that, saddle time too. I think there’s also a huge mental component to knowing you can go the distance or something close to it. MS: Long weekend rides are important for a couple of reasons. First, they build the endurance foundation upon which an athlete can handle the higher intensity work. It’s like building a house. A three-story house needs a much broader foundation than a one-story house. Second, long rides build the psychological confidence to finish a long event like a gravel race. I feel it’s important for an athlete to be confident that they can ride the length of time that the event demands. BD: In short, most of us have to worry about more than our w/kg because we live in the real world with real struggles like work, family, chores and whatnot, so the weekends are our biggest window of time available to ride. Time in the saddle is important for the 100k+ gravel goal, as you can expect to be out there for at least 3-plus hours and upwards of 10-plus hours, so if your body hasn’t seen that in training, then when you add in adrenaline and 200 people, more or less you are going to bonk hard and take up golf. Start small by adding 25 to 50 percent to your longest ride each week, so if you ride 2 hours on a Tuesday as your longest spin then, aim for 2.5 to 3 hours on Sunday. Then add 30 minutes each week from there until you have ridden at least the distance of your event on as similar terrain as you can. The closer you can simulate your goal in training the more familiar it will all be on your big day. There is a reason MMA fighters beat the s##t out of each other in training so they can take a hit when it’s time for the real fight! CXM: What’s more important for training for endurance events, duration or frequency? Say for mid-week training, which would be better: one two-hour day or two one-hour days? MS: I would say frequency. I would rather see an athlete be more frequent in their workouts than going for duration. BD: Whichever fits your schedule. If you can only make a one-hour trainer ride happen Monday through Friday then a mixed diet of fun interval work is fine, just not every day because come the weekend, you need to get the saddle time to build your “callus,” so to speak. If you can do two-hour rides during the week, then I would pick three days during the week, for example, Tuesday, Wednesday, Thursday, to do longer interval work with maybe Wednesday as an easy ride and then Saturday and Sunday do volume adventures with friends. CM: You almost have to say frequency because duration is constrained from the jump here. If you have four hours a week, one four-hour ride is not going to cut it. Five 45-minute rides could get you a lot though. To directly answer your question, I’d vote for two one-hour days. CXM: Can something like fasted training help you get “more” out of shorter rides? BD: I don’t buy into it but placebo is still an effect. Starving your body is a recipe for sickness or even worse for female clients regarding cycles. Overall, it does a number on your immune system unless you are monk-like with your nutrition. It’s dangerous territory in my opinion. CM: Ughhhhhh. The science says yes, they are probably good for you. As a coach, I’d want to have a very serious talk if you really felt like this was the way to go. Cycling is rife with body image issues and eating disorders (and disordered eating). Not eating your way to fitness is playing with fire on a variety of fronts. And I really don’t like the mindset of it. What can you eat that is better than what you are currently eating? Should you be eating more? Are your macros even close to right? What healthy choices can we decide to engage in rather than “not eating”. If you’re so pressed for time it’s limiting your training and your solution is “don’t eat,” I think you’re coming at this all wrong. What can I do in a positive manner to increase the efficacy of my training? More sleep? More protein? Ride before work instead of after? MS: There is a lot of buzz about fasted training right now. The general consensus is that fasted training helps teach your body to turn to other fuels (e.g. fat) versus the more readily available fuels to power your engine. All of my shorter rides—90 minutes or less—are in a fasted state, but I don’t think you’re getting more out of the ride except teaching your body to burn other fuel sources. CXM: Are there workouts you’d recommend for maximizing available training time? CM: The classic 2 sets of 20 minutes at FTP is probably one of the best uses of your time. Or some variation on that, depending on the rider and the training venue (inside vs out). Six efforts of 5 minutes each at VO2 with 2 to 5 minutes recovery is also a great workout, but you can’t go to that well too many times. In general, I’d suggest workouts that are intense enough to stimulate adaptation but not so hard you can’t train the next day and the day after that. MS: For time-crunched athletes, hiring a coach is the best investment you can make to maximize your limited time. 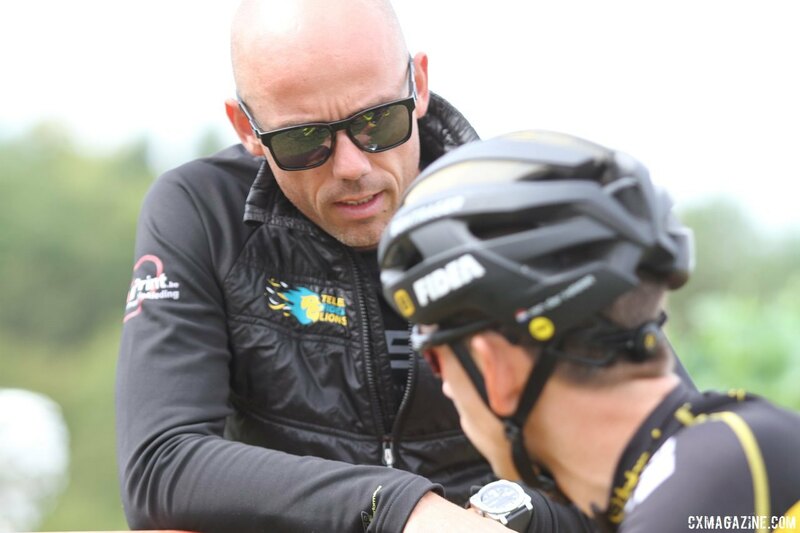 A professional coach will discuss your goals (races, target events), your available training time and what’s going on in your life to then create a program of workouts that will help you achieve your goals. Each athlete is unique and their training schedule should reflect that. Some workouts work for certain athletes and some don’t, so I create most of my workouts from scratch based on what I know about the athlete. CXM: What are the biggest mistakes you see time-limited athletes make? MS: Setting unrealistic goals. I have worked with athletes who will say they only have 6 to 8 hours of training per week but they have goals that require 15 to 20 hours to achieve. That is part of my role as a coach to help them set goals that are a stretch but still achievable. BD: Mischanneled energy and lack of time management and communication. I don’t believe in time-limited athletes, that’s just another way of saying overscheduled or misguided. If life is that busy, work on making it less busy, keep riding for fun and stress relief until time allows you to chase your athletic pursuits. This is never more applicable than to the new parent trying to hang onto their race fitness. Time management is key, and if you are married or dating then communication is paramount to everything. CM: Not focusing on recovery. Sleep and nutrition are the two biggest factors in your training. You can train all you want but if you’re not getting enough sleep it doesn’t allow you to recover and adapt. 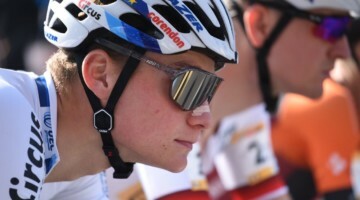 CXM: Many pro cyclocrossers and mountain bike racers spend much of their training time on road bikes. How much does this apply to your gravel training? BD: I think it is a necessary evil to attain and maintain proper base as well as for recovery spins. That said, if you aren’t a pro or local Cat 1/2 hero, then who cares? 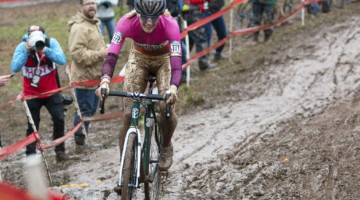 If you only own a mountain or cyclocross bike, then who am I to tell you what to do? Have fun and have a beer for me! CM: Road bikes produce a lot less wear and tear on the body and focus more on engine building. I think they’re a great option for that reason. Plus variety is great. 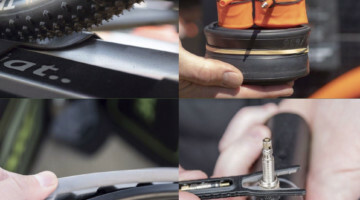 Depending on your bike, you can get a lot done on the road with, say, a 650b x 45mm tire setup. 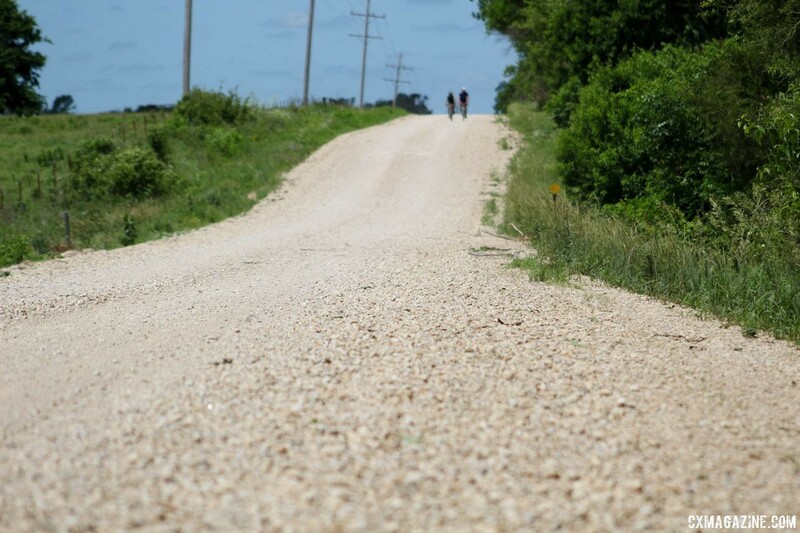 MS: Unless you are fortunate enough to have access to miles and miles of gravel, much of your training will be on the road. I recommend training on the road for cyclocross, mountain biking and gravel, mixing in some skill-specific work to ensure you can handle your bike in those events. Training on the road allows you to get in the volume you need for your event and doesn’t require access to gravel or trails. 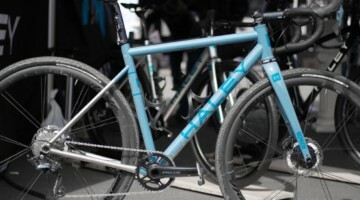 CXM: Cyclocrossers often have race-day wheels or race bikes and different setups for training. What if anything do you change for gravel race days? CM: Nothing new on race day! So yes, feel free to have lighter wheels or something like that, but you should have trained extensively on whatever setup you have come race day. You don’t have to ride that stuff every day but make sure you know exactly how everything is going to work together. For instance the timeless mistake of a mismatched chain and cassette. 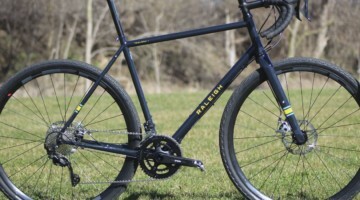 MS: While I have typically raced gravel races on my normal cyclocross race setup, there are a couple of tweaks that would make a difference come race day. The first is going with a wider tire. 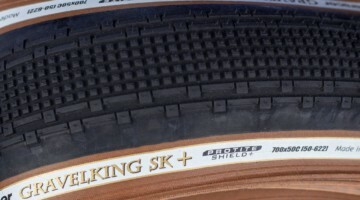 Most cyclocrossers race 33mm tires but moving up to 38 or 40mm will be more comfortable and if there is a lot of descending, more stable. Second, I would think about gearing. For events like Southern Cross, you want a gearing range that can handle the big climbs while also having a high end for the paved sections, whereas for Barry-Roubaix, you don’t need as wide of a range. 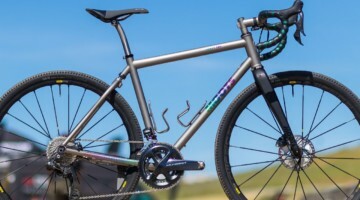 BD: Run as big of tires as your frame can allow because it will make any terrain easier for gravel as well as making cyclocross race days amazing when you shed those big tires for 33mm tubbies and feel like a superhero in every turn and tech section. Most of all, have fun and remember … if it was easy it wouldn’t be as fun … there’s community found amongst the suffering on dirt roads. Thank you again to our coaches for contributing their insight. For more training advice, see our Training Tuesday archives, which includes last week’s entry on why you should probably be lifting weights.